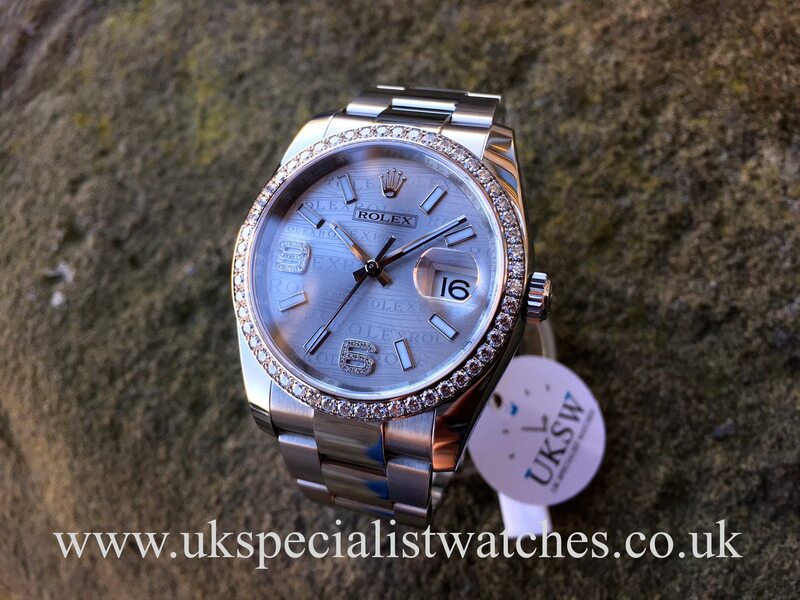 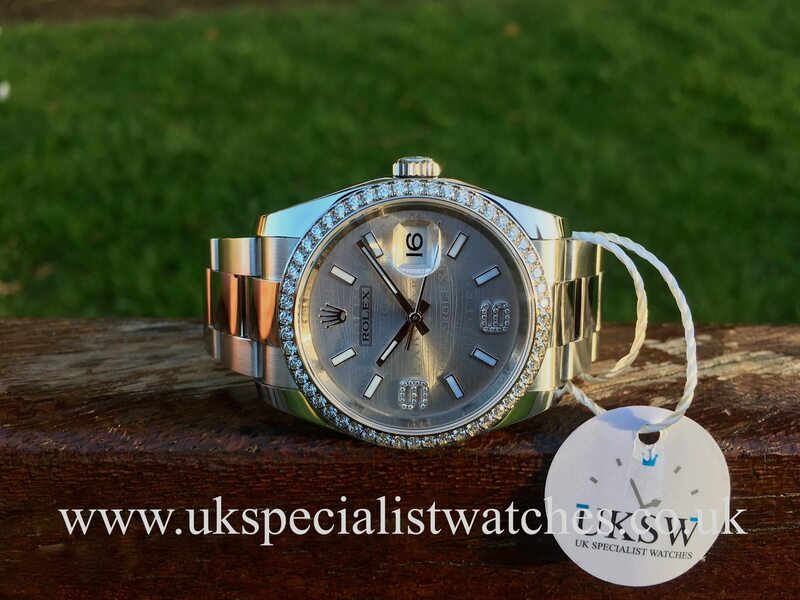 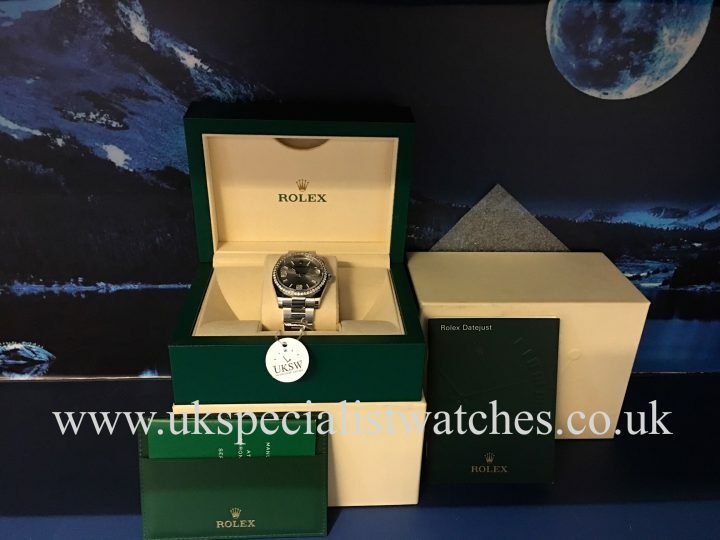 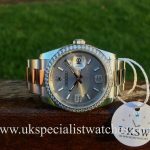 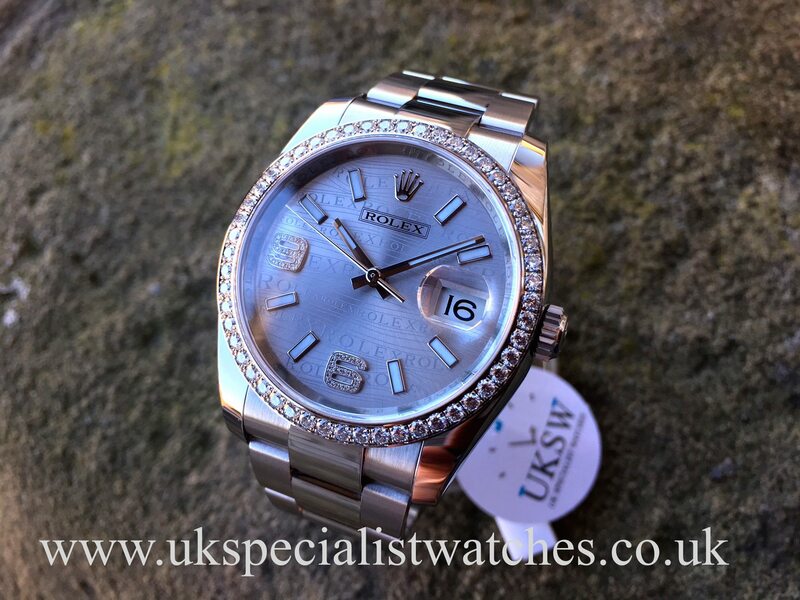 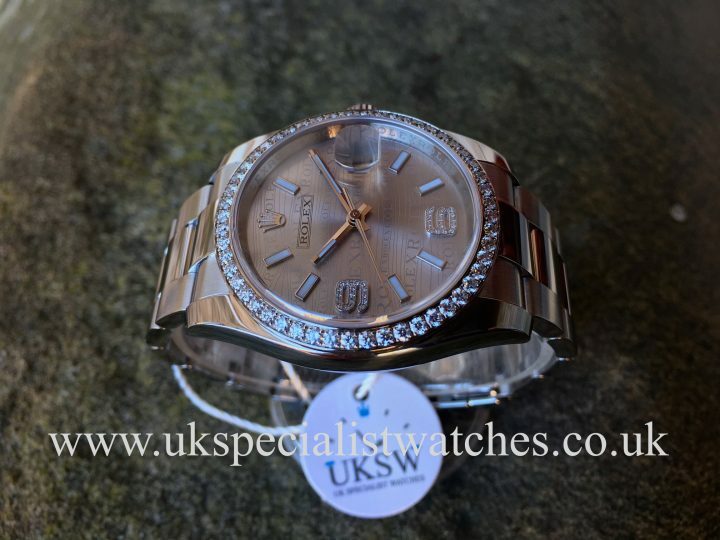 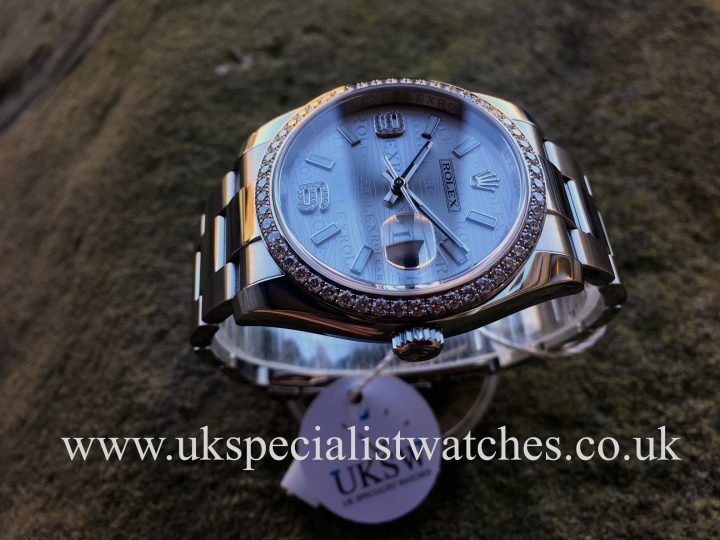 Rolex DateJust 116244 with a 36mm stainless steel case. 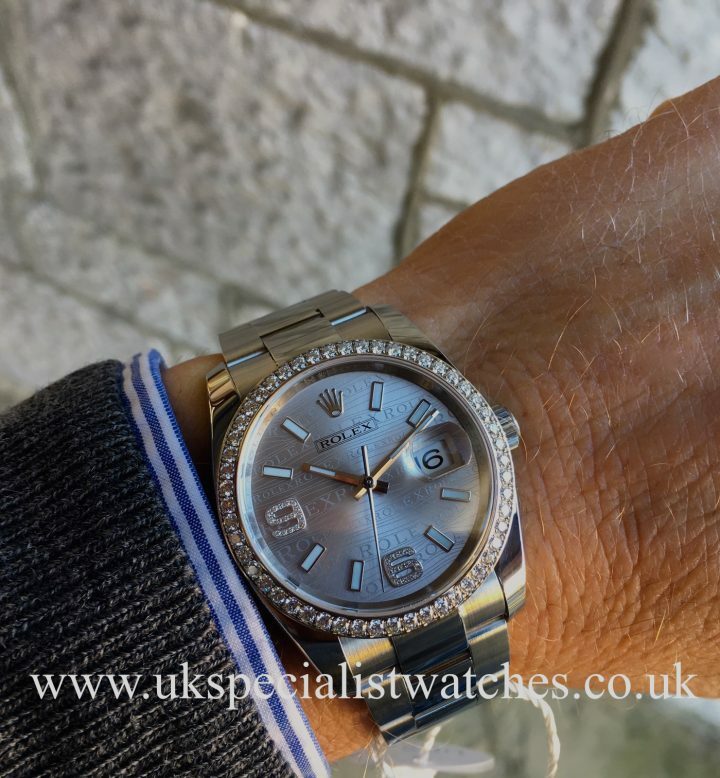 Original Rolex 52 diamond bezel with a rather unusual Rhodium Wave dial complimented by Arabic diamond numerals at 6 and 9 . 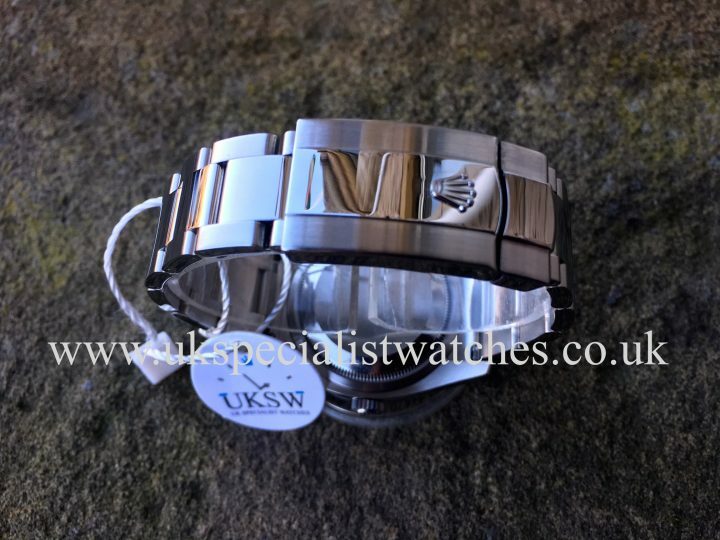 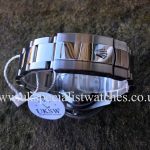 This stunning unisex model is fitted to the latest solid link oyster bracelet with polished centre links and the latest style secure double folding clasp with easy extension link. 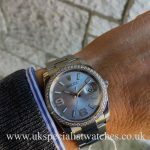 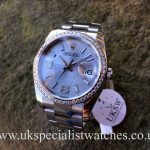 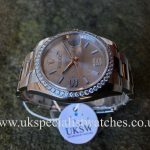 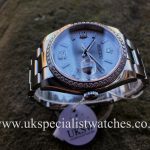 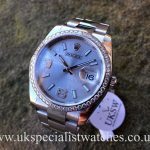 Our one owner watch was supplied new at Harrods London 2016 and is totally immaculate. 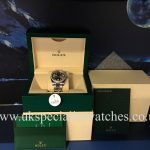 Comes with box, wallet and booklets. Costs new today £12,500!